Manufacturing engineering focuses on the research, design and development of manufacturing systems, processes, machines, tools and equipment – driving forward changes in the lives of individuals and societies, as well as national and international economies. A Masters in Manufacturing Engineering will provide you with a detailed understanding of each level of the manufacturing process, combining skills in mathematics, science and business to develop innovative ways of designing systems and processes, and teaching you how to keep pace with this ever-changing industry. Read on to find out about typical Masters in Manufacturing Engineering course types, specializations and career options. Masters in Manufacturing Engineering degrees aim to develop students’ knowledge of how they can improve the quality and efficiency of manufacturing systems. Manufacturing engineering is multidisciplinary, most notably overlapping with industrial, mechanical and aeronautical engineering, and often offering similar course modules and career options. The topic also draws upon subjects such as calculus, computer science and physics, so the more prior experience you have in these areas, the better. You’ll apply these subjects to real-world problems, giving assurance in the ideas underlying manufacturing and the viabilities of fulfilling these ideas, and preparing you for a range of manufacturing engineering jobs. Masters in Manufacturing Engineering degrees are usually taught via a mix of lectures, seminars, practical workshop exercises, independent research and case studies. You will often be able to choose from a range of elective modules and specializations such as robotics, food factory design and operations, engineering economics, quality management and reliability, logistics and supply chain management, sustainable manufacturing and project management. Assessment is usually through a combination of coursework and examinations, with an individual project likely to be your final assignment. You’ll need to demonstrate a relevant academic background and an interest in manufacturing. Most universities will require you to have a strong bachelor’s degree in an engineering discipline, but you may also be accepted if you have significant professional experience in the field. Ideal for students who want to understand the many aspects of integrated manufacturing systems, this specialization will enable students to gain a strong understanding of the effective integration of the computing, design, manufacturing, quality and management functions of manufacturing enterprises. 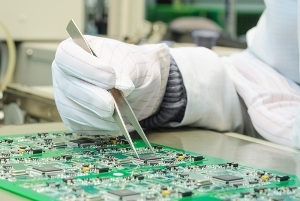 You’ll gain advanced knowledge and the skills required to plan, implement, and examine CIM systems both in principle and in practice, through modules such as simulation and semiconductor manufacturing. A specialism in production systems will give you an in-depth knowledge of production technology and related processes and systems. Your course is likely to also focus on preparing you for careers in the production systems industry, developing your skills in developing and designing competitive manufacturing facilities, assessing manufacturing issues and ways to solve them strategically, with financial implications in mind. Typical modules include digital manufacturing, lean manufacturing, automation and robotics and optimization and simulation. 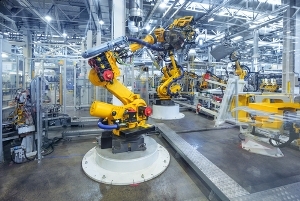 Also a specialization of mechanical engineering, a concentration in robotics and automation within your masters in manufacturing engineering degree will focus on the design and application of manufacturing systems which integrate robots or other types of automated devices into manufacturing systems for efficient processes and material handling operations. Students can often also choose modules in computer-aided design and/or computer systems technologies within this option. If you want to develop your creativity towards a possible role in the product design, industrial design or product development sectors, this specialization could be for you, equipping you with an advanced understanding of engineering issues in order to manufacture products with an awareness of time, cost, quality and sustainability. Modules within this option include applied industrial ergonomics, mechatronics design, computer-aided design, and engineering cost and production economics. Other common specializations within manufacturing engineering degrees include: quality engineering, food manufacturing engineering, supply chain management, product development, concurrent engineering, systems analysis and linear systems. On completion of your Masters in Manufacturing Engineering degree you’ll be able to offer employers multiple skills which are ideal for a range of manufacturing engineering jobs. Since manufacturing engineering plays such a key role in the development of so many products and goods, career opportunities span numerous industries. Read on for examples of some of the many career options you could pursue after graduating. Manufacturing engineers are responsible for the technical administration, upkeep and development of new and current production lines within a varied range of manufacturing corporations. They can work in practically any industry that has an end product, such as aerospace, automotives, clothing, food and drink, biotechnology, oil refineries, plastics and pharmaceuticals. To become a manufacturing engineer, you’ll need a high level of technical knowledge and skills, including strong design and analytical skills. Prior industry experience would be beneficial for finding work in this role, and you’ll need to be able to work well independently and in a team of other engineers and other professionals. You’ll also need to liaise with the research department of your company to ensure you’re at the forefront of ground-breaking research, and will need to keep up to date with current and developing trends in the manufacturing industry both in your own region and internationally. Many manufacturing engineering jobs offer high salaries, with the average manufacturing engineer earning $64,548 a year in the United States, according to PayScale. In terms of career development, you could progress into training and supervision, management, environment or health and safety related roles, with your salary increasing as you gain experience. There’s a high demand for manufacturing engineers all over the world. 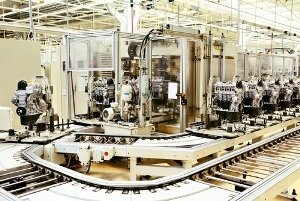 As a manufacturing systems engineer you’ll work as part of a team of production managers and other professionals in factories to design and set up new manufacturing equipment and assembly lines in factories and manufacturing plants. You’ll use computer-aided design (CAD) software to build 3D models, and also work to improve existing systems by investigating and solving production problems. Other duties include estimating costs of equipment, time and labor, deciding on the effective use of resources, producing maintenance schedules and testing, observing and assessing new mechanical equipment. Your overall aim would be to produce the products of the required quality and quantity, on time and on budget. Also referred to as an operations manager, as a production manager you’ll oversee the preparation, coordination and control of manufacturing processes, working closely with supervisors and maintenance staff to ensure that goods and services are produced resourcefully, to the correct quality and quantity. Your exact responsibilities will vary depending on what sector you work in, but you’ll generally be involved the planning, control and supervision stages, organizing staff and ensuring that targets are met. Other common tasks in this role include putting together production reports for factory managers and clients, monitoring quality standards and implement methods for quality control, and making sure that health and safety guidelines are followed. This role would you suit you if you’re highly organized, a good leader, and able to make the right decisions quickly to solve problems. Quality managers are responsible for making sure that their organization’s products or services are reliable, fit for purpose and meet both external and internal requirements, including legal considerations and client expectations. As a quality manager, you’ll coordinate the activities necessary to meet these standards, setting up quality assessment systems to ensure that customer satisfaction is upheld and enhanced. Again the work is specialized depending on the industry you work in – you might have a particular focus on improving the product’s quality, or on streamlining work practices and identifying other changes to improve productivity. Naturally the most relevant industry for this role would be manufacturing, in which you might also manage a team of quality control technicians. However, there’s also scope to work in sectors such as healthcare, education or banking. Other manufacturing engineering jobs you could pursue include: engineering technician, engineering manager, business consultant, engineering researcher, information systems manager, and design engineer.